As we all know, the countertops of stainless steel cabinets do not crack with the use time like other materials countertops. You can see that the stainless steel kitchen cabinets overall effect is good and no gaps. It has the advantage is never cracking & environmental protection & no radiation, so you don't worry about breeding bacteria and effect the foods.Their fireproof, anti-penetration performance is also good, even if there are have some oil stains and other traces during use, just wipe it gently since it simple to clean and maintain. But traditional stainless steel cabinets are cold and ice in people's minds, especially in winter, which is one of the reasons why many owners are discouraged from stainless steel cabinets! With the development of stainless steel integrated cupboard, Baineng stainless steel kitchen cabinets have made great breakthroughs in design, appearance, style, etc. 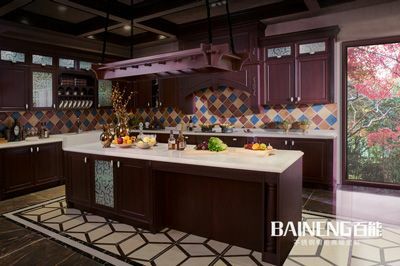 No matter what style cabinets you like, Baineng stainless steel kitchen cabinets can meet your demand! 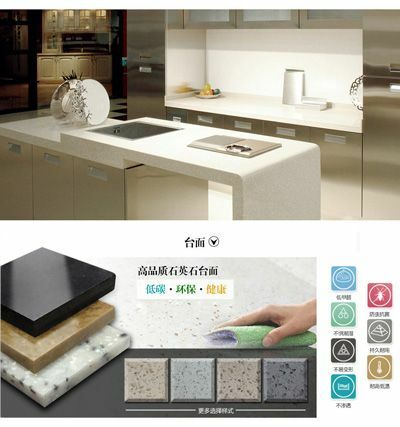 The lacquer stainless steel series of Baineng stainless steel kitchen cabinets is loved by many housewives for its rich color, stylish appearance and easy to clean and maintain. Let everyone experience the exquisite life and show the truest self through the kitchen, we have a bold idea whether you can enjoy cooking and love your home more through experience the exquisite kitchen. Modern style blends with traditional European elements, interprets petty bourgeois life culture, and caters to modern people's love for Western culture. The flexible operation space and integrated design make it easy for you to enjoy the fun of the kitchen and feel the peace and the nature. 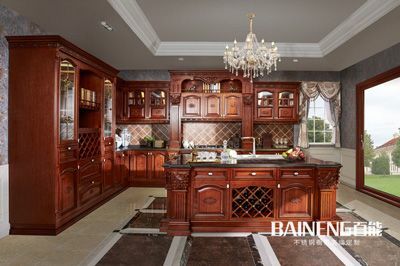 The biggest feature is the design of the original wood-colored cabinets, full of the calm atmosphere of the classical style, so that the owner feels the noble and elegant atmosphere, giving people the ultimate enjoyment in a transcendental life. The wood color of the cabinet makes you feel kindness and warmth of the life. The texture of the logs is delicate and full of texture. The minimalist colors avoid visual clutter, and the fresh kitchen blends classic design also match with many pastoralism soft furnishings for just the right amount of beauty. Simple European style follows the main elements of classical European style and incorporates modern elements of life. Giving people more is cozy and romantic. Through the perfect line and the fine details of the treatment, bring the family a lot of comfortable touch, in fact, harmony is the highest state of European style. 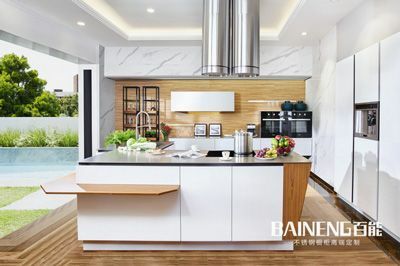 Baineng stainless steel whole cabinets provide consumers with “taste, fashion and environmental protection” cabinets to improve people's life and environment, and make your kitchen practical, while paying attention to beauty, high-end and atmosphere.